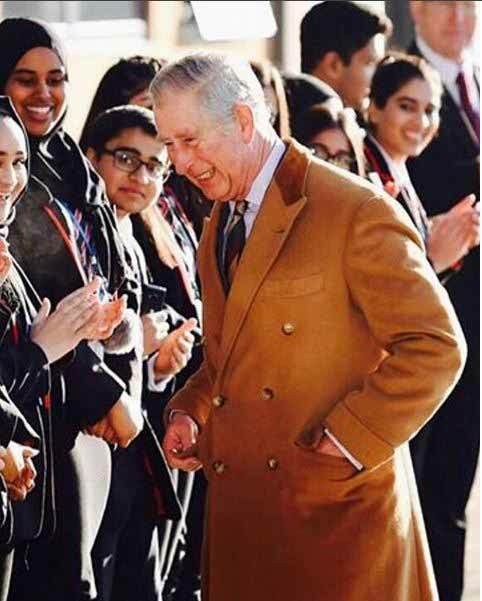 Prince Charles wearing his bespoke overcoat 15 years on. It is 15 years since I made HRH The Prince of Wales his Vicuna polo bespoke overcoat. I made the bespoke overcoat back in 2001 in the early stage of my career as an independent tailor, it was a very exciting opportunity. Prince Charles told me that the cloth was given to him as a gift and wanted a warm smart coat made up. Last week he was photographed wearing my Savile Row Bespoke overcoat in Leicester. I am very pleased that he his still wearing the coat and is often photographed in it. It must be his favorite.